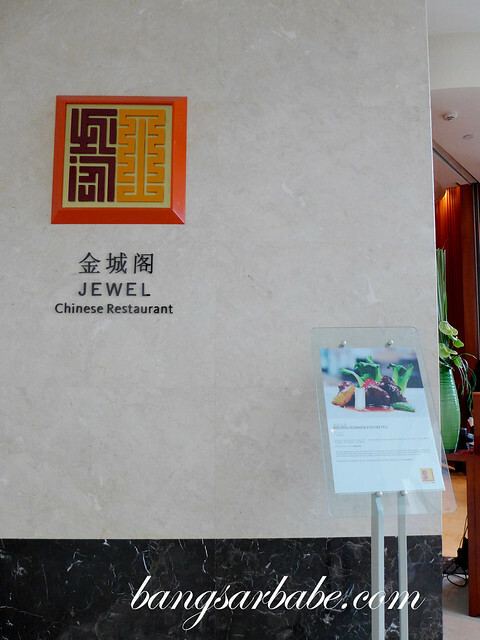 Jewel Chinese Restaurant in The Westin Financial Street Beijing is known for its fine Cantonese cuisine and modern presentation. 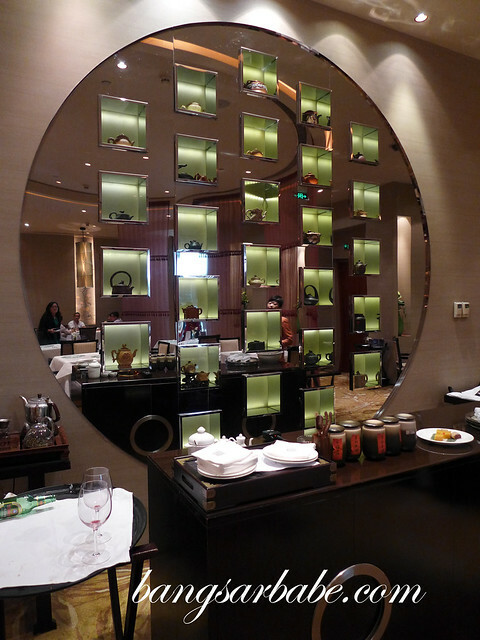 The restaurant setting is elegant, adorned with a beautiful ornamental teapot display and antique furniture. My lunch began with a chilled starter – shredded chicken with sesame sauce. Perfect for the hot Beijing weather. 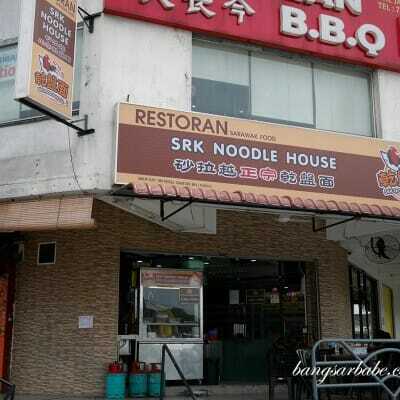 The sauce was mildly spicy with a creamy texture and roasted aroma from the ground sesame. Addictive stuff, this one. I also enjoyed the deep fried prawns coated with mayonnaise and black sesame. 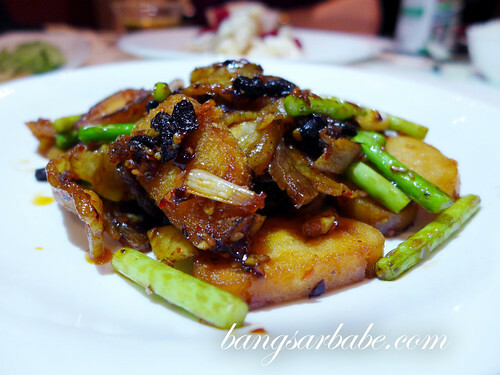 The prawns were fresh, and deep fried till crispy perfection. The mayonnaise coating had just the right balance of richness and didn’t overpower the natural flavour of the prawns. Very nice composition of texture and flavours. 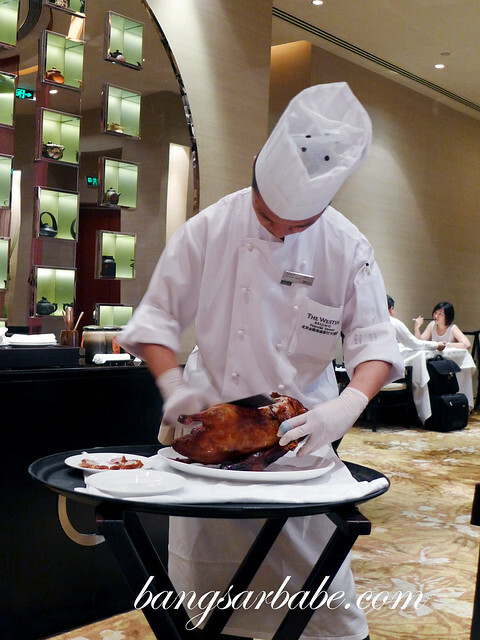 When in Beijing, Peking Duck is a must try, so I was told. 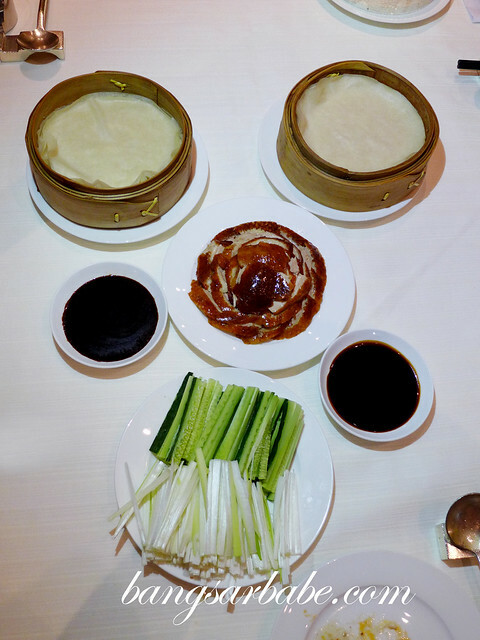 The roasted duck was carved on the spot and served with Chinese pancake rolls, sweet sauce and julienned spring onions. 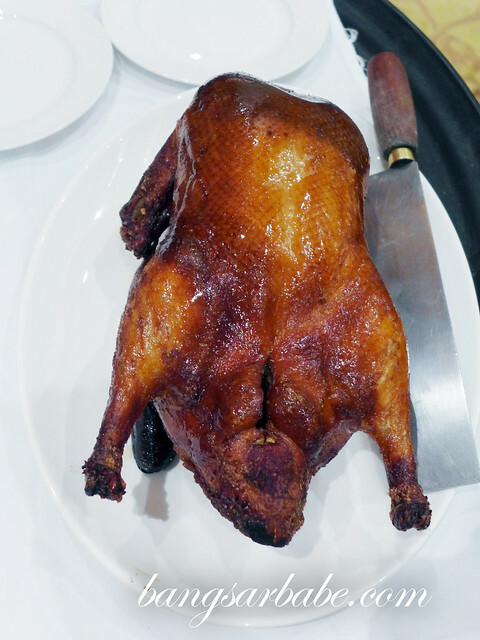 The remaining duck meat was then used to prepare a dish of your choice — rice, noodles or soup. I decided I wanted soup. 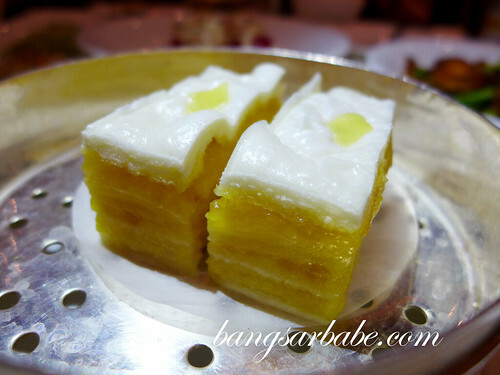 Dessert was a platter of glutinous rice flour cake and broad bean cake – two specialty desserts in Beijing. 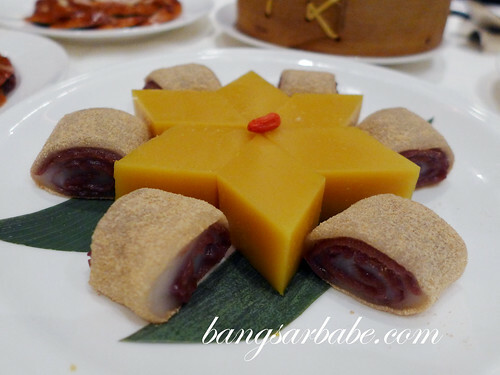 I rather enjoyed the former, which tasted a bit like mochi with red bean paste. On the whole, I had a good experience dining at Jewel. 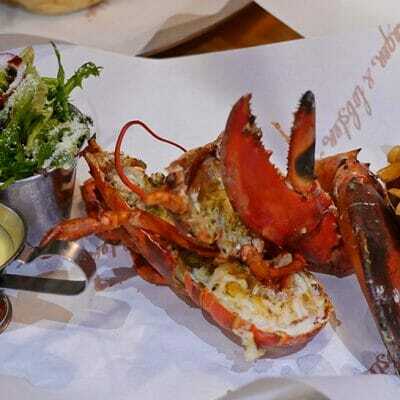 The food is tasty and well-refined, and due to The Westin’s strategic location at Financial Street, Jewel makes a great venue for business lunches. 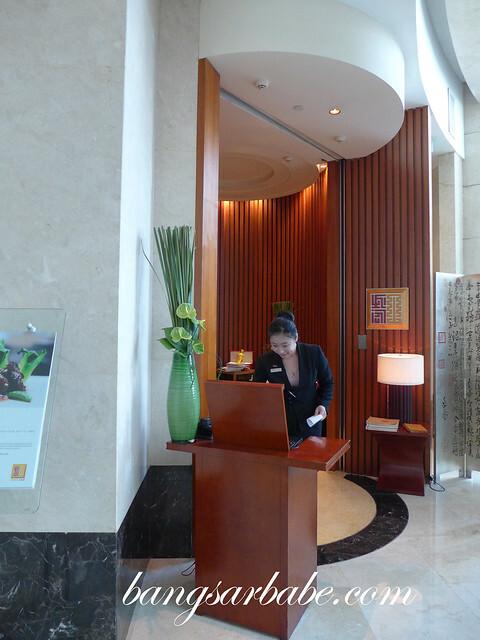 Verdict: If you happen to stay at The Westin Beijing Financial Street, give Jewel a try!